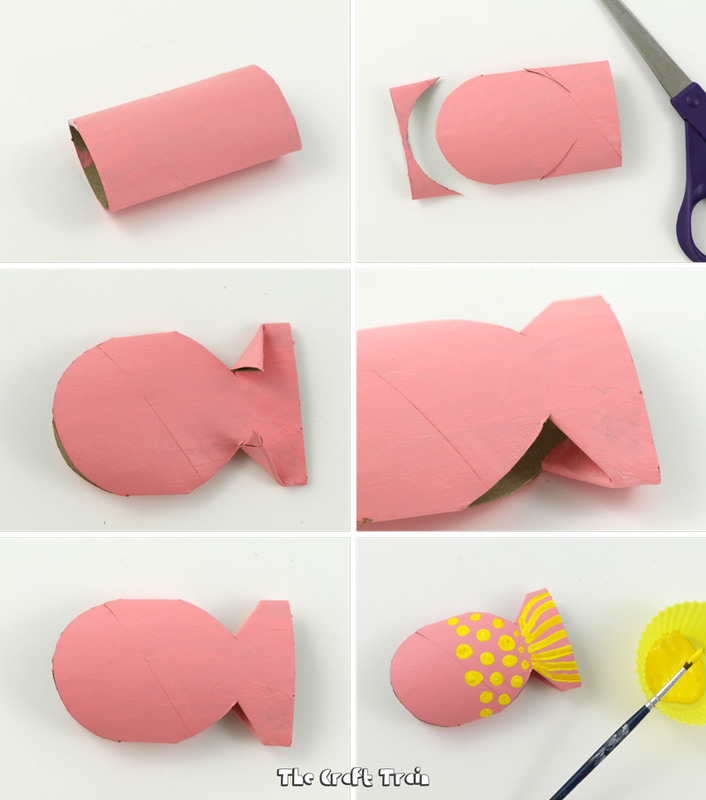 Here’s a simple paper roll fish craft you can make and as a bonus you get to upcycle your cardboard tubes at the same time. 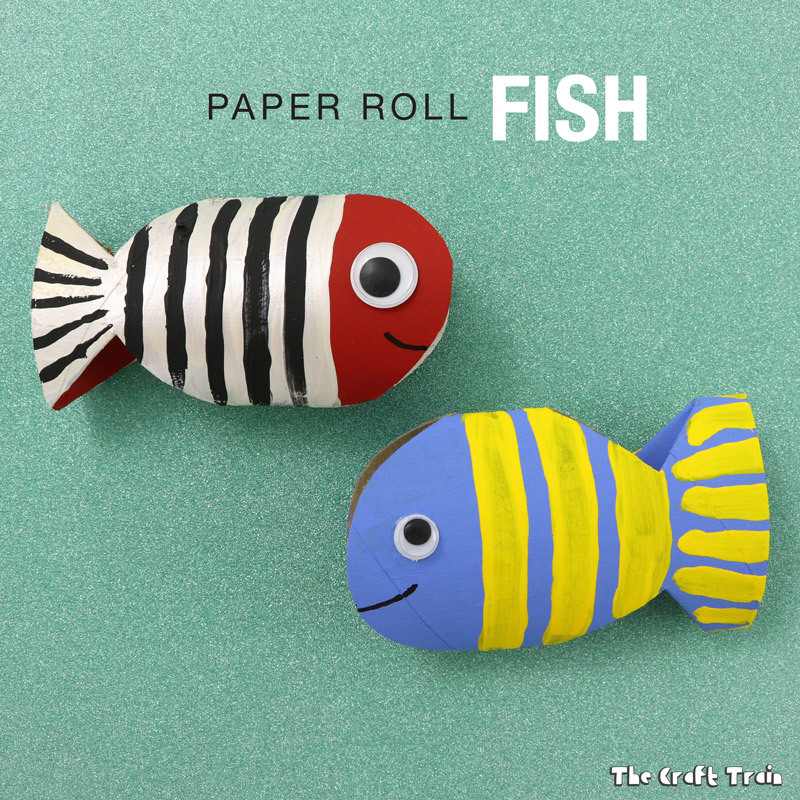 I adore making paper roll animals using a cut and fold technique and this is possibly one of the simplest ones ever. Originally I designed this craft years ago for my girls when they were preschoolers. I created the fish shapes for them and they decorated them with sequins, glitter and other bits and pieces. The girls used their finished fish as ‘food’ in their toy kitchen for a long time – years even! 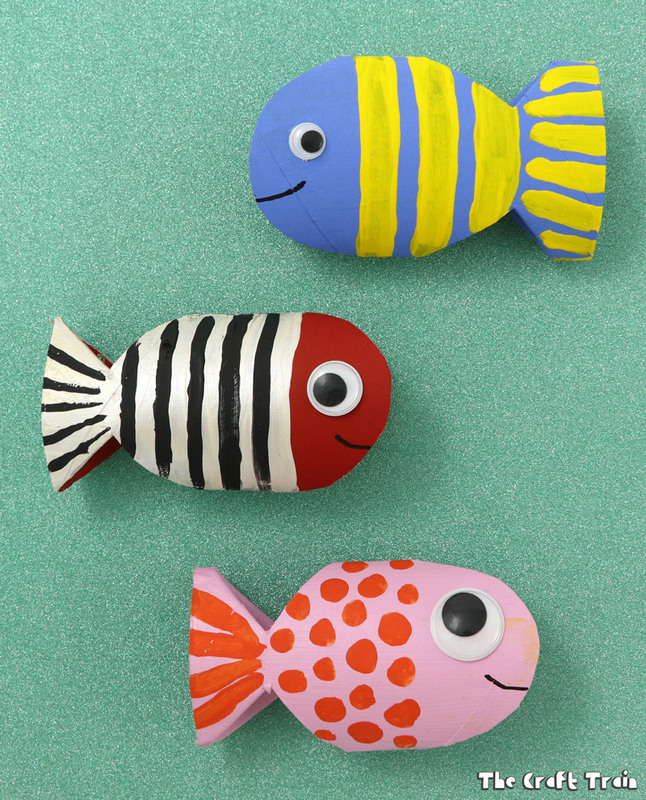 You could also turn them into a fishing game with the help of some paper clips and magnets on strings. I thought it was time to revisit this fun idea with a revised step-by-step tutorial and I’ve even created a video too. I’m always up for a challenge! What paper roll animal would you like me to create next? You can find tons more on our Cardboard tubes board on Pinterest too. This is really creative and cute! Great idea for the children ti work with, painting them putting them together, love it. Cardboard tubes, scissors and paint is all you need. Googly eyes and glue optional but not necessary. Acrylic paint. My favourite brand is Jo Sonjas but that may not be available near you. Some brands will need a couple of coats of paint to get them looking opaque. Could be fun to not only make these but hot glue small metal flat washers and give child a honemade fishing rod with magnet on end?